Comic Market, better known among the subculture in Japan as "Comiket," is currently a bi-annual 3-day event that takes place in Japan. This past December 29th to 31st was the 83rd Comiket, and Kotaku East had a chance to delve into the underbelly of what is currently the largest comic pop culture convention for the sale of doujinshi (independently written comics that generally copy or parody existing IPs) in the world. Comiket been around for nearly 40 years (the first Comiket was held on December 21st, 1975) and through the years it's had its ups and downs and gone through a lot of changes. At present, the system of Comiket has solidified in the 3-day format, with different genres of doujinshi sold on different days. People come from all around the country (and in some cases, the world) to get books by their favorite doujinshi artists or purchase limited edition books or goods sold by the many game or anime companies that have booths there. The day generally begins before sunrise with the very first train that arrives at one of the nearby stations (due to problems in the past ranging from littering to safety concerns, squatting overnight has been banned by the Comiket even organizers—though this doesn't keep some over-eager buyers from finding ways to spend the night for a chance to be first in line). 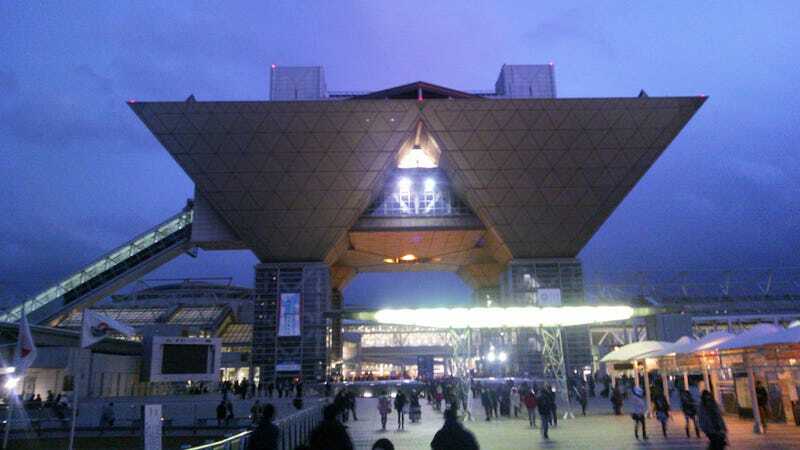 From there, people begin to line up at what is currently the regular Comiket location, the Tokyo Big Sight. People will line up in these tremendous crowds for hours, and any chance not to have to is a welcome thing. A good friend asked me if I would be able to help him at his table at Comiket 83, so I was able to bypass the bladder-rupturing lines this time and go straight to the halls without any waiting. People will line up in these tremendous crowds for hours, and any chance not to have to is a welcome thing. It's like flying business class: once you've tasted the luxury, you can't go back to economy class. The Comiket organizers frown upon it, but some artist circles will give away to friends or even sell extra tickets on online auctions. And there's no shortage of buyers. Most circles won't sell books before the doors open, but just a chance to be able to be first in line at one of the popular circles or one of the company booths is something many fans dream of. Watch an Orderly Japanese Nerd Horde. It Will Blow Your Mind. The stationary mob lasts until 10 AM, when the doors open and the event begins. From there it's a mad really-fast-paced-walk (running is strictly forbidden) to the tables or booths where lines are quickly formed and sales begin. Some of the lines can be over an hour long for the extremely popular or famous artists. Navigating the halls can be a feat in itself. The east halls are between 8,350 to 8,670 square meters apiece (and there are 6 of them) and the 2 west halls are each 8,880 square meters. And they're all packed full with people... This is where you can really see the organizers' hand at work with the strategic positioning of artist circles to prevent congestion among the sea of tables. Often, people will work in teams, buying books for each other so that each person won't have to spend hours in line, only to have the books they're looking for sell out. Here and there you'll find people with walkie-talkies reporting their position in the halls and what books they've managed to acquire. Some circles will be lucky to sell 10 books, while others will run out after over a thousand sales. On the other side of the tables it a fairly interesting sight. There's an almost audible rumble as the guests enter the halls and the shopping begins. Some circles will be lucky to sell 10 books, while others will run out after over a thousand sales. Indeed, some artists are able to (and do) make a living off of selling doujinshi. My friend had printed 800 copies of his latest book, and by the end of the day, we had probably less than 50 left. The 3-day event ends at 4PM with an announcement and thunderous applause. From there, artist circles will pack up and head home, or to go drink and celebrate another successful Comiket. For Comiket 83, roughly 35,000 artist circles were there (And that's only a fraction of the actual number of circles that sign up hoping to take part). Across 3 days, roughly 550,000 people came to the Tokyo Big Sight to take part in setting a new Winter Comiket record. The third day (December 31st) alone clocked in at 210,000 attendees. People often joke that a well-placed disaster would decimate the Japanese otaku population. Looking at those numbers, I'm inclined to agree.